There can’t be many people who like to read about insurance as it is not a particularly exciting subject and even fewer are happy paying for it but, unfortunately, most of us need some form of insurance. It is a legal requirement and will provide you with peace of mind should something untoward happen in the course of running your business. Motor Trade Insurance will be required if you operate a business, no matter how big or small, full or part time, that has anything to do with cars, vans or motorbikes such as servicing and repair work, operating an MOT centre or garage, valeting cars or selling and buying vehicles. 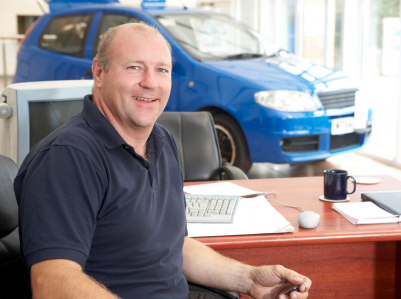 Not wishing to complicate matters, but there are different types of Motor Trade Insurance policy depending upon which sector of the motor trade you work in so let’s have a look at those. Road Risk insurance is required if you drive a vehicle for motor trade purposes. For example, if you have a business buying and selling cars you will be driving numerous vehicles from the likes of, say, a customer’s home, having just bought the car, back to your car showroom. Your private car insurance details the driver(s) that are insured to drive a specific car so it would not be practical to arrange a new car insurance policy for every car you bought and sold. However, Road Risk insurance just mentions the name of the driver that is insured and allows you to drive any vehicle that is under your custody and control for the purpose of your motor trade business. Third Party – the minimum requirement to be able to drive a vehicle on public roads providing cover for damage to other people’s vehicles, injury to third parties including your passengers. Neither your vehicle or yourself would be covered. This is the cheapest cover. Third Party Fire and Theft – on top of what third party insurance covers any vehicle under your control would be covered as a result of fire, theft, loss or damage caused by these factors. This is more expensive than just third party insurance. Comprehensive – on top of the above two levels of cover you would be insured for any accidental damage caused to a vehicle that was in your custody and under your control or that you owned. This is the most expensive of these three levels of cover. 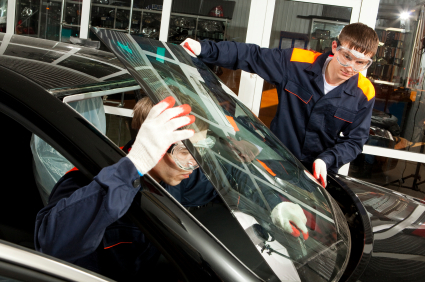 Third party insurance is also required if you do one or more of the following: a) carry out repairs, restore or service vehicles, b) you are a mobile tuner, valeter or vehicle fitter and c) if you run a garage or MOT centre. Product Liability – fit a faulty part such as a brake cable and your customer may take you to court to try to sue you following an accident caused by the faulty part.Your insurance company could sue the brake cable manufacturer. Employer’s Liability – if you have one or more employees you must legally have this insurance which would provide you with cover in the event of the death or injury of one of your employees at work. Public Liability – if your business operates from premises that your customers visit they must be safe. If a customer tripped over in your office and was injured they may sue you for a substantial sum of money. Public liability insurance covers this sort of situation. Sales and Service Indemnity – this would provide cover in the event of a claim being made against you for such things as the sale of a defective vehicle or poor workmanship. Combined Insurance is an extremely comprehensive insurance policy that provides cover for damage to any of your business’s tools, machinery, plant, buildings, fixtures and fittings, stolen money, vehicles located at the property, business interruption, employees and customers personal possessions plus any of the above liabilities. This article was written and supplied by the editorial team at www.motor-trade-insurance.co.uk – a leading UK website specialising in providing specialist cover for all types of traders in the motor industry.